Only six percent of kids between the ages of nine and 13 play outside because they want to. I'm determined to take action to change this statistic! I invite you to join me. Try one or more of these 11 activities as you spark a child's enthusiasm for nature and encourage them to play, explore, and take care of the environment. Warm spring days provide the perfect backdrop for cloud-watching. Together, you and your kids can lie on a blanket and watch the different clouds float by in the sky. Take turns identifying the types of clouds you see and all of the interesting shapes. When I hear about meteor showers or planet appearances in my area, I set up an observation center in our backyard. Equipped with a telescope, blankets, and hot chocolate, my girls and I have the best view of these significant events and learn more about our wonderful world. Every spring, my girls and I hit the local trails and parks to see the dozens of migrating birds that make their annual appearance in our hometown. Help your kids get excited about bird-watching when you research local birds online or borrow birding books from your library. 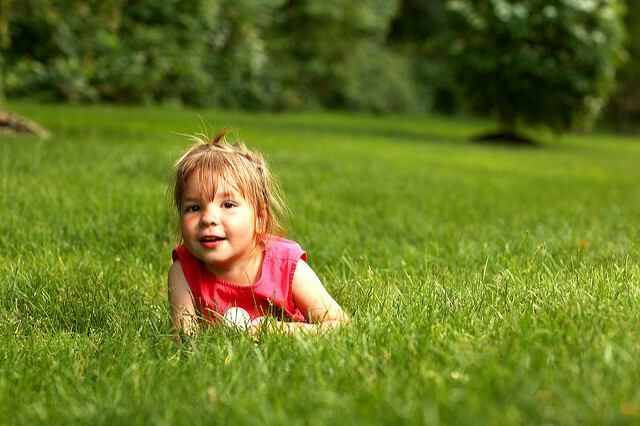 Kids can learn a lot from inspecting bugs, worms, ladybugs, caterpillars, and even spiders in their natural habitats. I remember the first time my girls and I sat in our backyard and watched these amazing creatures walk, eat, and live. They had fun, learned a lot, and even got over their fear of the small creatures they used to call "creepy crawlies." If your kids love veggies like mine do, plant your own garden! You can also cultivate flowers or herbs in your backyard or in patio containers as you prompt your kids to spend time outdoors. Instead of fighting your kids to put down their cellphones, challenge them to go outside and take pictures of flowers, wildlife, and other natural sights. 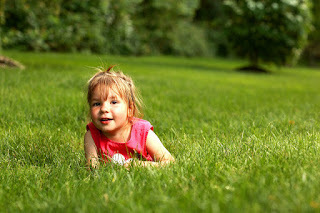 We like capturing snapshots of nature's beauty during visits to our local parks, nature trails, and even our backyard. Make it a daily habit to take walks with your kids. You can walk around the block, to a local park, or on a nearby trail as you observe nature and encourage your children to go outside every day. Think you can only go outside if the weather is sunny? Jump in puddles and have fun appreciating wet weather. Nature changes and grows with the seasons. Find a field, forest, or other habitat and observe these changes in a nature journal. You can include pictures, drawings, and other items that highlight the cycle of life. Tap into your child's desire to make the world a better place when you preserve nature as a family. You can pick up litter on your street, set up a rainwater collection barrel in your yard, or find a restoration project in your community. With these 11 activities, you can spark a child's enthusiasm for nature and help them have fun, explore, and take care of the environment. Which activity will you plan to enjoy today?